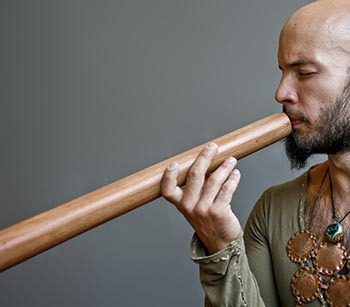 Dubravko Lapaine is a Croatian-based didgeridoo musician and composer – one of the most revered didgeridoo performers in the world. Lapaine has been devoted to strict technical training and uncompromising search for the pinpoint precision of sound. This has resulted in wild-fast hyper-detailed and extremely physical, raw and tight didgeridoo instrumental, but at the same time progressively emphasizing the melodic and subtle side of the instrument. Innumerable breaths of perfect precision and speed are counterbalanced by melodious voice. This creates a sense of vast space and pulsing density in organic harmony. 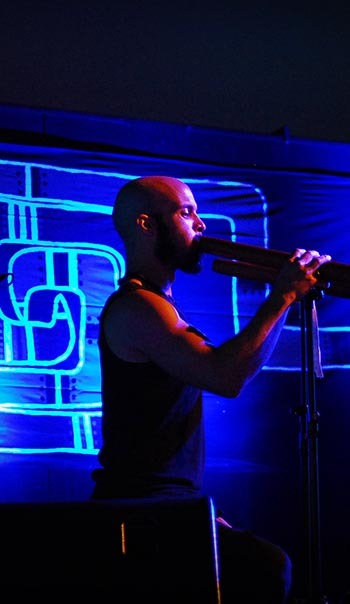 Movements of breath, diaphragm, voice and lips blend in the didgeridoo into a strange invisible and powerful earth music orchestra. 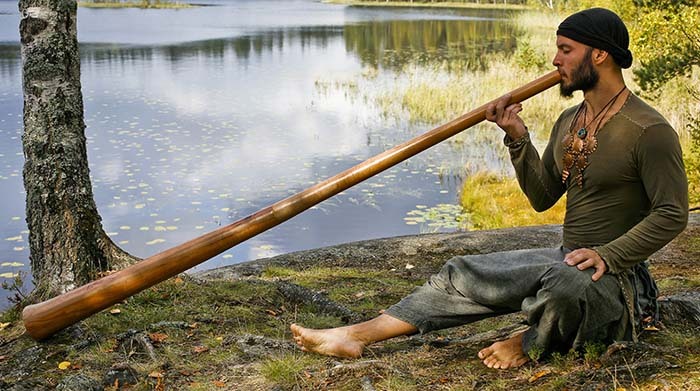 The music he produces out of various ‘wooden tubes’ seems to the listener as if coming from a deep unknown spring letting us catch subtle melodies of wind intertwined with the rhythmic rumbling of the earth. It is really with the live stage performance that Du’s devotion to music comes to full expression. During his intense musical performances wrapped up with spoken stories of abstract but poetic worlds, the audience is invited to take a step out of the ordinary and float into the vast spaces of inner cosmic freedom full of deep echoes and images. Dubravko is also actively working with a trio Druyd featuring didgeridoo, guitar and female vocals. He has released a range of audio works (solo albums, tracks for films and animations, music for theatre and dance performances) and received an international musical award (World of Music Awards 2009-finalist). 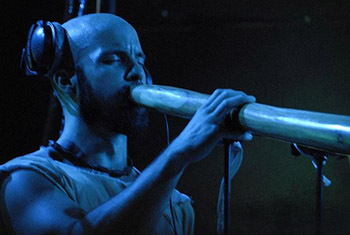 Dubravko Lapaine is a Croatian-based didgeridoo musician and composer – one of the most revered didgeridoo performers in the world. 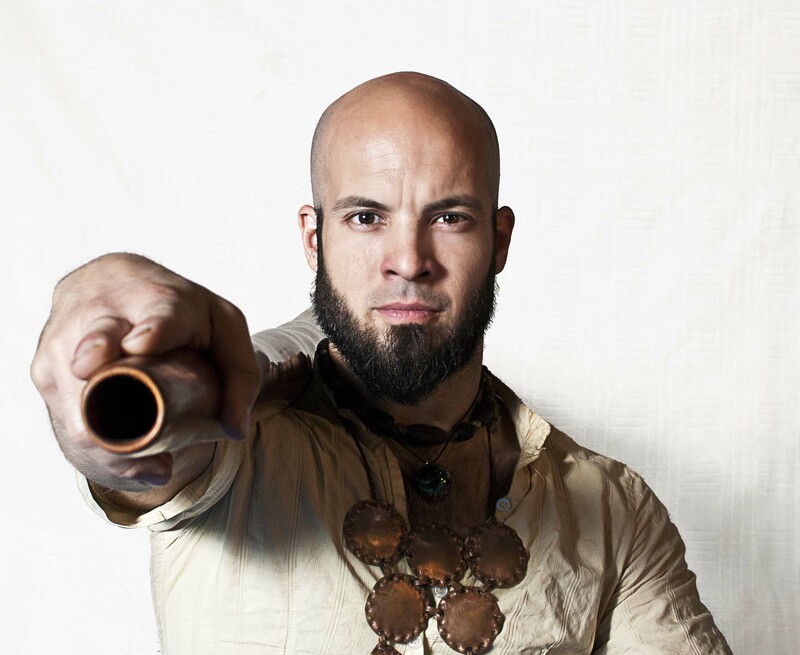 In his hands, this ancient instrument takes the audience into what feels like an uncharted world of sound and rhythm which is utterly absorbing. 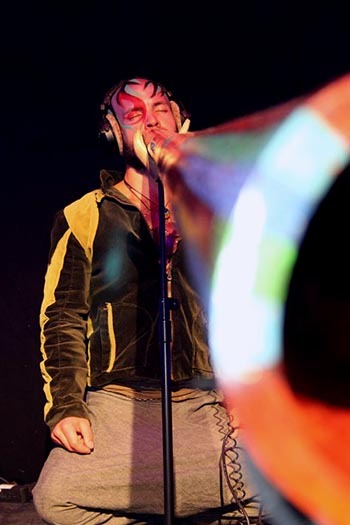 His breath, diaphragm, voice and lips blend into a strange, invisible and powerful earth music orchestra. The music he produces seems to come from a deep unknown spring bringing subtle sounds of wind intertwined with a rhythmic rumbling of the Earth. VIBRAPULS – Latest solo album, July 2015. DUBOKOBUD – Album released in January 2011. KOSMOPTERIX – Album released in July 2009. IZ DUBINA BESVJESNIH – First self-released, arranged and produced in 2008. DRONAS / by Druyd – Album released in July 2010. Debut album of Druyd, didgeridoo-guitar-female vocals trio.